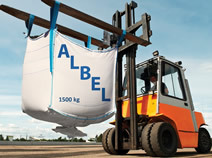 With many years of experience ALBEL s.a guarantees product and services of high quality based on trust & reliability relations with its customers. 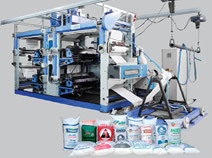 Albel s.a has one of the most technologically advanced facilities in the industry providing the best quality products and services to worldwide customers. The company has a large workforce and counts on a skilled and devoted team of professionals,fully dedicated to Albel’s vision. In 2011, the company expanded its production line to include FIBCs; Flexible Intermediate Bulk Containers, first of its kind in Albania. FIBC’s are one of the most cost effective and ideal types of packaging for shipping and storing dry bulk products. 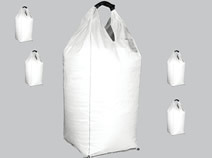 Big bags are produced from either tubular or flat polypropylene (PP) woven fabrics. An FIBC can be as simple as an open top with a flat base used commonly within the building industry or as a high tech unit produced within a clean room production environment to be used for the food/pharmaceutical industries. One and two loop FIBC’s are less complicated and more economical in comparison with the four loop FIBC’s. 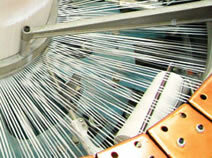 They are produced from tubular body fabrics to obtain a higher breaking strength within the fabric.